How can historic sacred places support civic engagement, social cohesion, and neighborhood equity? Three religious sites, three community organizations, and three design teams are collaborating to re-envision historic purpose-built religious properties as community hubs. Join us for the initiative's final event - the Publication Release + Capstone Exhibition - as we celebrate the hard work and innovative ideas of the design teams, congregations, partners and neighbors. The Community Design Collaborative is a volunteer-based community design center that provides pro bono preliminary design services to nonprofits; promotes best practices in community design and development; and offers design professionals a unique way to volunteer their skills in service of neighborhoods. Founded in 1991 as a program of AIA Philadelphia, the Collaborative is an independent 501 (c)(3). Partners for Sacred Places is the only national, non-sectarian, nonprofit organization focused on building the capacity of congregations of historic sacred places to better serve their communities as anchor institutions, nurturing transformation, and shaping vibrant, creative communities. Founded in 1989, Partners has built a national movement based on its ability to assess issues, map assets, find solutions, and create optimism and hope for the future of our historic, purpose-built sacred places. 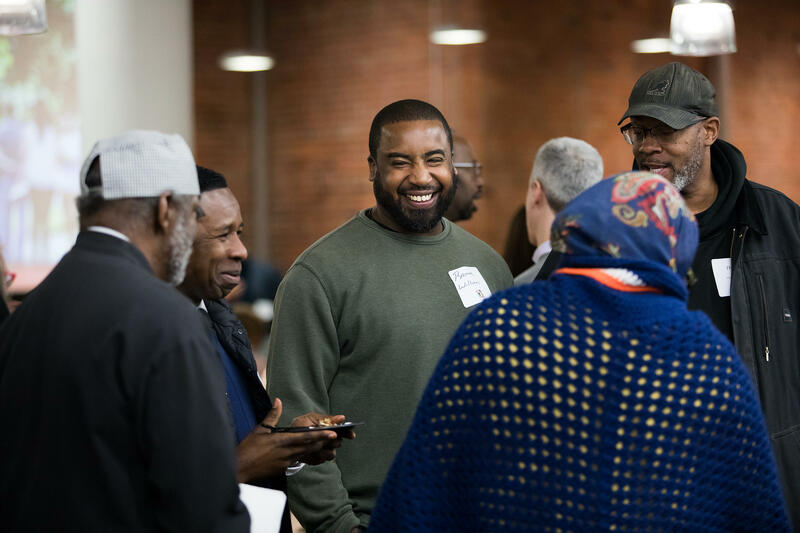 The Community Design Collaborative in partnership with Partners for Sacred Places have selected three religious sites across Philadelphia, along with community partner organizations, to serve as models for incorporating civic spaces into active but underutilized sacred places. Three multidisciplinary design teams have been chosen and paired with each site to re-envision the purpose-built religious properties as community hubs. Provide innovative models and prototypes in which religious buildings house a multitude of co-existing uses for community benefit. Infill Philadelphia is an initiative of the Community Design Collaborative to explore key community development challenges and opportunities through design. Infill Philadelphia engages communities in re-envisioning their neighborhoods, leveraging existing assets, rethinking the use of older spaces, and addressing the practical concerns of specific sites and the communities around them. Mike Zoppo is a host of exceptional ability. Studies show that a vast majority of guests attending events by Mike have been known to leave more elated than visitors to Santa's Workshop, The Lost of Continent of Atlantis, and the Fountain of Youth.